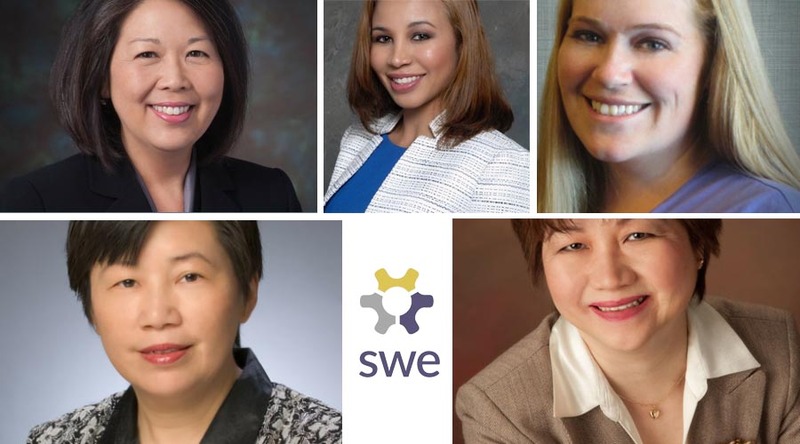 Northrop Grumman employees Kris Acosta, Nora Lin, Ana Luisa Mendoza, Amy Jo Moore and Ling Wu received awards for their contributions to women in engineering at the Society of Women Engineer's (SWE) annual conference in Minneapolis, Minnesota. 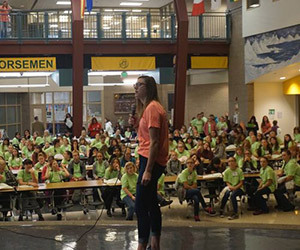 SWE is one of the largest non-profit organizations whose mission is to advance and empower women in engineering and technology. 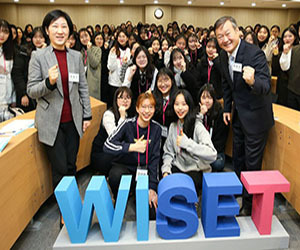 SWE encourages women to achieve their full potential as engineers and leaders, and demonstrate the value of diversity. SWE awards recognize innovators and leaders who are contributing to SWE's goals for women in engineering. 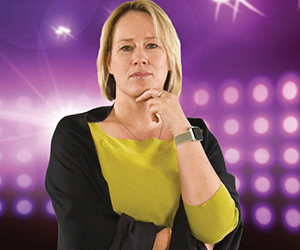 Kris received the Prism Award because she has carved out her own career path and provided leadership in technology fields and professional organizations. Kris has held materials engineering, systems engineering, program integration, and program management positions on space and air programs. Kris has also contributed to the SWE through her position as co-chair of professional development conferences for the SWE Los Angeles chapter and as the chair-elect for the SWE curriculum committee. She is the SWENext chair for the Northrop Grumman Women’s International Network and president of the Greater Los Angeles Chapter of Women in Defense. Nora received the Distinguished Service Award for her significant contributions to the organization for at least twenty years. Nora joined SWE as a senior member in 1997, became a life member in 2003, and has held various SWE leadership positions at local, regional and national levels. Nora served as the SWE president in 2009-2010. 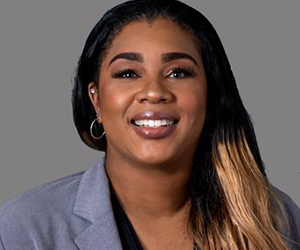 In 2003 Nora led the group that established the Northrop Grumman Women Engineers employee resource group that provided acess to networking and development opportunities for women engineers across the country and served as the first chair. Ana Luisa received an Emerging Leader Award for her active engagement in her profession and her outstanding technical excellence and accomplishments. 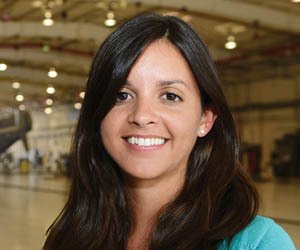 Ana Luisa joined Northrop Grumman in 2005 and has held roles of increasing responsibility in program management, system engineering management, test, logistics, and production. She was co-founder of the Northrop Grumman sector and enterprise Hispanic employee resource groups, organizations she previously led as the chair. 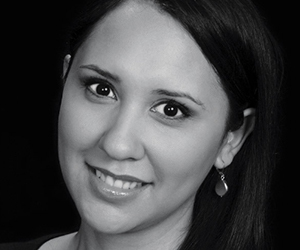 Ana Luisa has received multiple patent disclosure awards for her innovative work. Amy Jo received a Distinguished New Engineer Award honoring women in the first ten years of their career who have shown outstanding technical performance and abilities, as well as leadership in professional organizations and the community. Amy Jo has worked for Northrop Grumman since 2010 on missile programs in guidance, control systems, ground systems and other areas. Amy Jo is a Northrop Grumman representative at professional and collegiate SWE events, is the liaison between Utah State University and Northrop Grumman in Ogden, Utah, and is one of the outreach and recruiting contacts. Ling received a Spark Award for her contributions to the empowerment of women engineers through her role as mentor, for demonstrating leadership and initiative in the advancement of women engineers, and for identifying advancement opportunities. 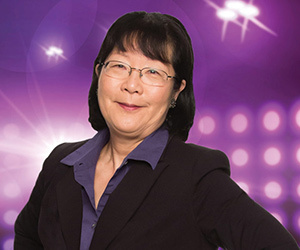 Ling has 36 years of experience in the industry and holds two patents in fiber optics. 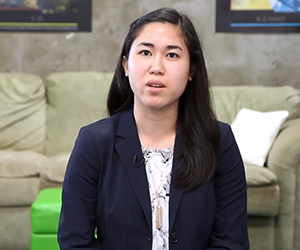 Ling co-founded a Northrop Grumman Women Engineers chapter and created many programs such as professional development workshops, employee awards and recognition, SWE-UCLA speed mentoring and cancer education events. The Northrop Grumman Women’s International Network (NGWIN) employee resource group (ERG) received two mission awards at the conference. 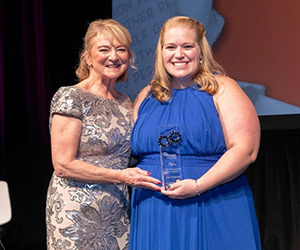 The Professional ERG Silver Award honored the breadth of programming supporting SWE’s goals over the past year and a Global Best Practice Award recognized Northrop Grumman's efforts in helping to create an inclusive, global organization. NGWIN supports Northrop Grumman employees around the globe with a network of over 50 site chapters and more than 5,000 employees. 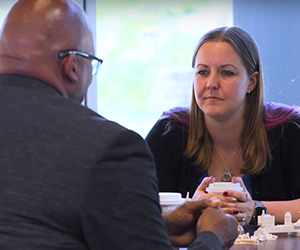 Discover further women who are passionate about their careers at Northrop Grumman and are encouraged to make a difference in the industry. 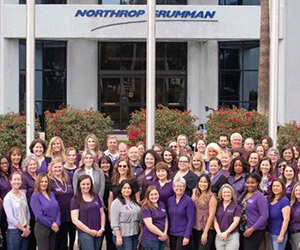 If you want to be part of a team of talented women, find out about Northrop Grumman's current job vacancies and see where your career might take you.